INDIANAPOLIS, Jan. 31, 2019 – 2018 World bronze-medalists Sam Mikulak of Newport Beach, Calif./U.S. Olympic Training Center, and Yul Moldauer of Arvada, Colo./University of Oklahoma, are two members of the 2018 U.S. World Championships Team who are expected to compete at the 2019 Winter Cup Challenge in Las Vegas, Nev., Feb. 15-17, at the Southpoint Hotel and Casino. In addition to Mikulak and Moldauer, the rest of the World Team and alternates are also in the field: Akash Modi of Morganville, New Jersey/Stanford University; Colin Van Wicklen of Magnolia, Texas/Cypress Academy of Gymnastics; Alec Yoder of Indianapolis /Ohio State University; and alternates Allan Bower of Chandler, Arizona/University of Oklahoma, Trevor Howard of Columbus, Ohio/Ohio State University, and Marvin Kimble of Milwaukee, Wis./Salto Gymnastics. Twelve members of the U.S. Senior National Team are participating. Along with the World Championships Team and alternates, the national team members entered are: Cameron Bock of Tustin, Calif./University of Michigan; Kanji Oyama of Huntington Beach, Calif./U.S. Olympic Training Center Gymnastics; Eddie Penev of Penfield, N.Y./U.S. Olympic Training Center Gymnastics; and Genki Suzuki of North Wales, Pa./University of Oklahoma. Nineteen gymnasts on the Junior National Team are also expected to compete: John Chou, of Houston, Texas/Cypress Academy; Justin Ah Chow of Miami, Fla./Universal Gymnastics; Caden Clinton of Houston, Texas/Cypress Academy; Lazarus Barnhill of Houston, Texas/Cypress Academy; Fuzzy Benas of Houston, Texas/EnRich Gymnastics; Landen Blixt of Fowlerville, Mich./Infinity Gymnastics; Taylor Burkhart of Morrison, Colo./5280 Gymnastics; Isaiah Drake of Los Angeles, Calif./Gymnastics Olympica; Raydel Gamboa of Phoenix, Ariz./North Valley Gymnastics; Spencer Goodell of Tigard, Ore./University of Oklahoma; Asher Hong of Tomball, Texas/Cypress Academy; Joshua Karnes of Erie, Pa./Lakettes Gymnastics; Nicolas Kuebler of Seattle, Wash./Metropolitan Gymnastics; Ian Lasic-Ellis of Dover, Mass./MEGA – Massachusetts; Riley Loos, El Dorado Hills of Calif./Technique Gymnastics; Luke McFarland of East Hartford, Conn./Daggett Gymnastics, junior; Curran Phillips of Naperville, Ill./Stanford University; Khoi Young of Bowie, Md./Sportsplex Gymnastics; and Colt Walker of Cedar Park, Texas/AcroTex Gymnastics. The Winter Cup Challenge features both junior and senior competitive divisions. The first day of competition will consist of one session for the junior division and one for the senior division. The finals session will feature the top 28 senior athletes and the top 14 juniors. Junior athletes will advance to the finals according to the all-around ranking from the first day of competition. The senior athletes will advance to the second day according to the Men’s Program Committee’s points-ranking system. For the senior division, all-around ranking will be determined on the first day of competition and individual event champions will be determined via a combined two-day score. For the junior division, All-around ranking and individual event champions will be determined via a combined two-day score. For information on the points ranking system used for advancement to the final round, as well as the one for determining the national team, click here. The Winter Cup competition schedule is: preliminary rounds, Feb. 15 – 1 p.m., juniors; and 6:30 p.m., seniors; and final round, Feb. 17 at 7:15 p.m. Tickets are $25 for Feb. 15 (both sessions) and Feb. 17 (finals), with an all-event pass for $50/adults and $40/children and students (which also includes access to the Black Jack Invitational); and for Feb. 17, $25/general public, $20/Black Jack Invitational coaches, and $15/Black Jack Invitational athletes. Tickets may be purchased on site on the afternoon of Feb. 14 and on both competition days. USA Gymnastics will be live-streaming all three competitive sessions via its YouTube channel. Performances at the 2018 Winter Cup Challenge will help determine the 12 men who will comprise the U.S. Men’s Senior National Team through the 2019 U.S. Gymnastics Championships in Kansas City, Mo. Following the first-day of competition, the top six ranked all-around athletes will automatically qualify for the 2019 senior national team. 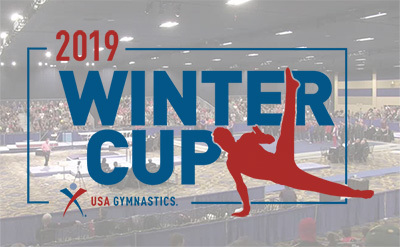 Using scores from both days of competition, the Men’s Program Committee will select six more gymnasts from the participants at the Winter Cup Challenge using the 10 Points Program or from petitions to the team. Based on his World Championships results, Sam Mikulak will automatically make the national team if he participates at the 2019 Winter Cup and qualifies to the finals. Approximately 36 juniors and 48 seniors will participate in the event. The International Gymnastics Federation’s junior and senior level rules will be used. 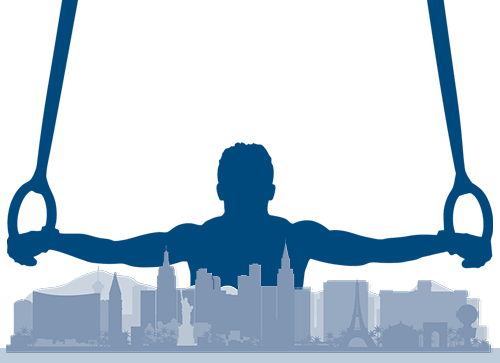 Eligible athletes for the senior division include: senior level participants from the 2018 U.S. Championships; top 36-junior-ranked gymnasts at the 2018 U.S. Championships who are no longer age-eligible for the junior national team in 2018 and qualified into the senior division; minimum 12 athletes, by all-around rank order, from MPC-approved qualifying events; and petitions. Only athletes who meet the FIG’s age requirements for the senior level may compete in the senior division. Eligible junior level gymnasts are the top-top 36-junior-ranked gymnasts at the 2018 U.S. Championships, as well as athletes approved by the Men’s Program Committee from the Level 9 Fall 2018 training camp using the approved MPC criteria.